Ever dreamed of your property being up on the big screen? Then look no further, as we can help you towards this goal. Firstly, you can register your location on the Kent Locations Database. We’re not promising that Johnny Depp or Julia Roberts will be walking through your house tomorrow…but they certainly won’t unless you register your property or business as a filming location. 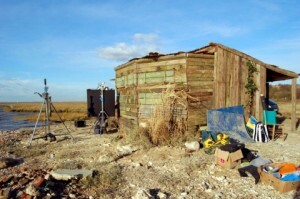 During the filming, you may expect anything from 10 to 1000 people to visit your property, which to novice location owners may be extremely unnerving, especially when large pieces of equipment are carted in and a whole load of strangers dressed in strange attire start camping on your front lawn. Panic not! Although it looks like complete chaos and a little overwhelming at first, production companies are usually extremely organised because every minute they spend filming can cost thousands of pounds. The location or unit manager at this time is your best friend and liaison to ensure that the team adheres to the agreements you made in the contracts. If the odd person does overstep the mark by using out of bounds areas or park in front of the car you wish to escape in, it is most likely because some information hasn’t quite filtered down the ranks and is easily corrected. Speak up! 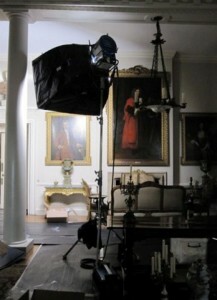 Once filming is completed, the lighting, design and location teams return to re-instate your property to its former glory. Again, depending on the amount of changes and filming done, this can take from an hour to a few weeks. At the very end, you should go through the property with the location manager and make sure all is well, any damages are repaired and everything is back in its usual place before sitting back and enjoying the privacy of your own property once more. If you are contacted by a production company asking to use your property as a location and your not sure what to do, don’t panic. Just call us on 03000 422 000 or email us at filmoffice@kent.gov.uk and we can help you through the whole process and give advice on most aspects of being a location owner, from fees to contracts to what questions to ask. The Kent Film Office has also formed the Kent Filming Partnership to promote Kent as a Film Friendly County to the film and television industry as well as insuring that any filming taking place is both safe and beneficial to Kent. Many aspects of filming activity are regulated and our Code of Conduct and A-Z Filming Guidelines for production companies give you an idea of any areas warranting special attention. As usual, we are here to help and discuss anything you may find confusing. If you are a studio or large locations provider and wish to join the Kent Filming Partnership, please download and sign a copy of The Kent Filming Partnership Agreement and email filmoffice@kent.gov.uk along with a jpg copy of your logo. Agree on a sole contact from the production company and get contact details, including mobile phone number. You can also ask them to get in contact with us, so we have the project logged. Try to get an idea of the scale of the project: numbers of crew and cast and dates including prep and re-instatement periods. Ask them for a breakdown, ideally in writing of exactly what changes they will make and where and that they will re-instate these after filming. Ask them which other areas of the property they will be using as green-rooms, stores, changing rooms, etc and make sure you are happy with that. Make sure you get a copy of their Public Liability Insurance, every production should have one. Also ask for a contract – we can supply sample contracts. Talk to your neighbours and keep them informed. 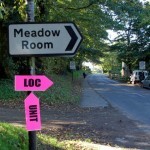 Be prepared for some disruption since film crews can be large and noisy.